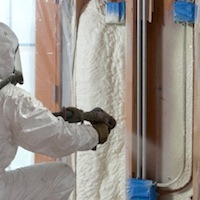 Fiberglass is the most common insulation used in modern times. Because of how it is made, by effectively weaving fine strands of glass into an insulation material, fiberglass is able to minimize heat transfer. The main downside of fiberglass is the danger of handling it. Since fiberglass is made out of finely woven silicon, glass powder and tiny shards of glass are formed. These can cause damage to the eyes, lungs, and even skin if the proper safety equipment isn’t worn. Nevertheless, when the proper safety equipment is used, fiberglass installation can be performed without incident. Fiberglass is an excellent non-flammable insulation material, with R-values ranging from R-2.9 to R-3.8 per inch. 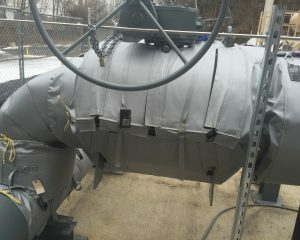 If you are seeking a cheap insulation this is definitely the way to go, though installing it requires safety precautions. Be sure to use eye protection, masks, and gloves when handling this product. 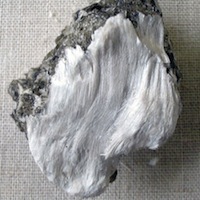 Mineral wool can be purchased in batts or as a loose material. Most mineral wool does not have additives to make it fire resistant, making it poor for use in situation where extreme heat is present. However, it is not combustable. When used in conjunction with other, more fire resistant forms of insulation, mineral wool can definitely be an effective way of insulating large areas. 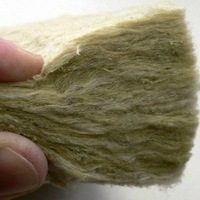 Mineral wool has an R-value ranging from R-2.8 to R-3.5. 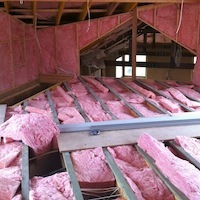 Cellulose insulation is perhaps one of the most eco-friendly forms of insulation. Cellulose is made from recycled cardboard, paper, and other similar materials and comes in loose form. Cellulose has an R-value between R-3.1 and R-3.7. Some recent studies on cellulose have shown that it might be an excellent product for use in minimizing fire damage. Because of the compactness of the material, cellulose contains next to no oxygen within it. Without oxygen within the material, this helps to minimize the amount of damage that a fire can cause. So not only is cellulose perhaps one of the most eco-friendly forms of insulation, but it is also one of the most fire resistant forms of insulation. 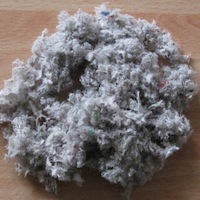 However, there are certain downsides to this material as well, such as the allergies that some people may have to newspaper dust. Also, finding individuals skilled in using this type of insulation is relatively hard compared to, say, fiberglass. 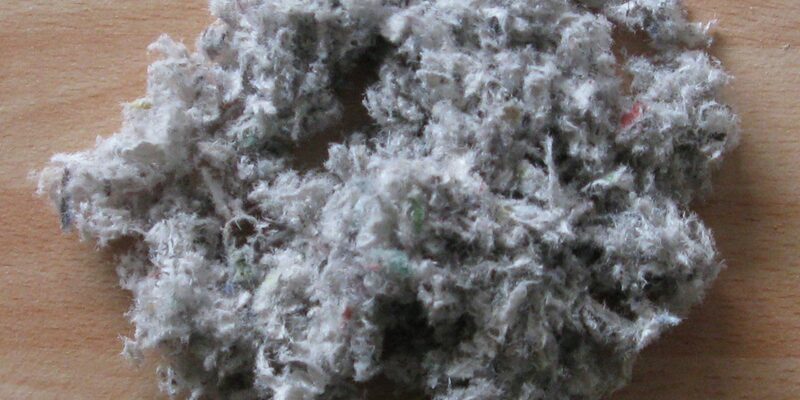 Still, cellulose is a cheap and effective means of insulating. While not the most abundant of insulations, polyurethane foams are an excellent form of insulation. Nowadays, polyurethane foams use non-chlorofluorocarbon (CFC) gas for use as a blowing agent. This helps to decrease the amount of damage to the ozone layer. They are relatively light, weighing approximately two pounds per cubic foot (2 lb/ft^3). They have an R-value of approximately R-6.3 per inch of thickness. There are also low density foams that can be sprayed into areas that have no insulation. These types of polyurethane insulation tend to have approximately R-3.6 rating per inch of thickness. 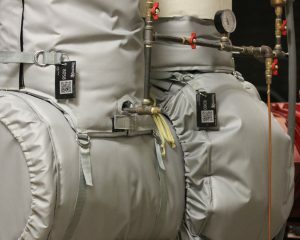 Another advantage of this type of insulation is that it is fire resistant. Polystyrene is a waterproof thermoplastic foam which is an excellent sound and temperature insulation material. 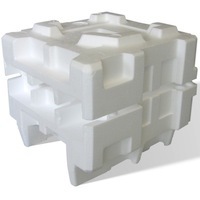 It comes in two types, expanded (EPS) and extruded (XEPS) also known as Styrofoam. The two types differ in performance ratings and cost. The more costly XEPS has a R-value of R-5.5 while EPS is R-4. Polystyrene insulation has a uniquely smooth surface which no other type of insulation possesses. Typically the foam is created or cut into blocks, ideal for wall insulation. The foam is flammable and needs to be coated in a fireproofing chemical called Hexabromocyclododecane (HBCD). HBCD has been brought under fire recently for health and environmental risks associated with its use. Although the items listed above are the most common insulation materials, they are not the only ones used. 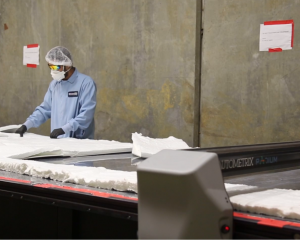 Recently, materials like aerogel (used by NASA for the construction of heat resistant tiles, capable of withstanding heat up to approximately 2000 degrees Fahrenheit with little or no heat transfer), have become affordable and available. One in particular is Pyrogel XT. Pyrogel is one of the most efficient industrial insulations in the world. Its required thicknesses are 50% – 80% less than other insulation materials. Although a little more expensive than some of the other insulation materials, Pyrogel is being used more and more for specific applications. Other insulation materials not mentioned are natural fibers such as hemp, sheep’s wool, cotton, and straw. Polyisocyanurate, similar to polyurethane, is a closed cell thermoset plastic with a high R-value making it a popular choice as an insulator as well. Some health hazardous materials that were used in the past as insulation and are now outlawed, unavailable, or uncommonly used are vermiculite, perlite, and urea-formaldehyde. 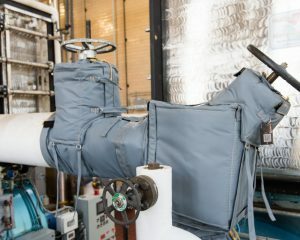 These materials have reputations for containing formaldehyde or asbestos, which has essentially removed them from the list of commonly used insulation materials. .
Polyurethane is an all around good insulation product, though not particularly eco-friendly.